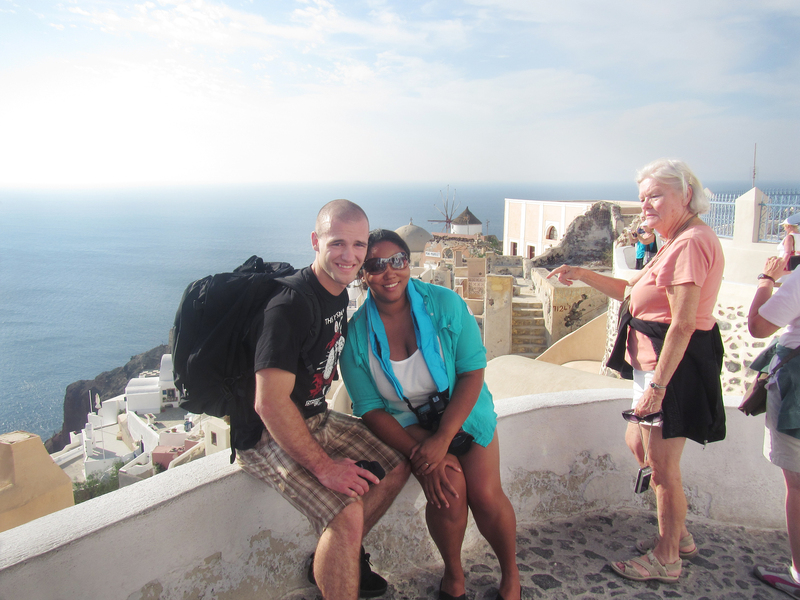 Santorini was my first bucket list destination. I had originally wanted to go on our honeymoon, but the timing was not right. So we decided to go at a later date. My husband went on a long deployment and after he came back, we decided to take that trip! Actually, we were on the fence as to where we wanted to go after he came home. But, after thinking about it, he decided that he wanted to take me where I’ve always dreamed of going! 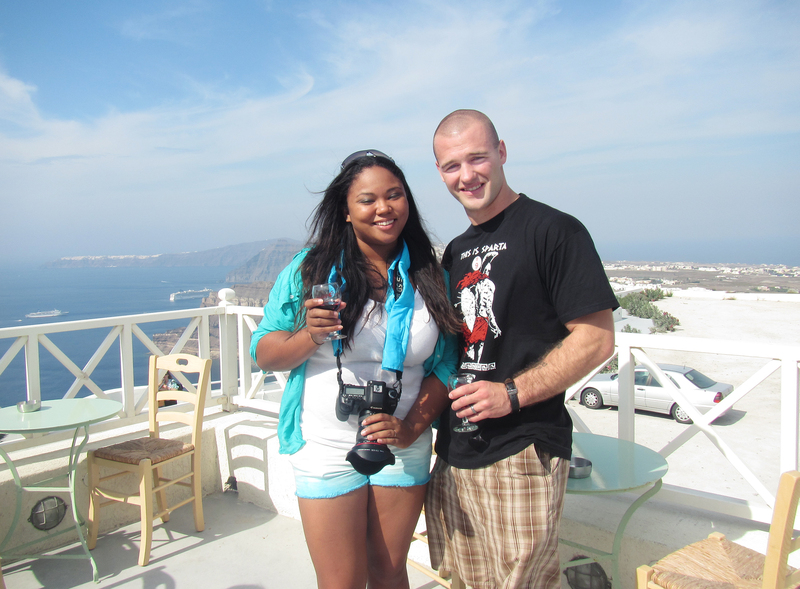 We sailed out of Venice and took a week long cruise around a few of the Greek Isles. If you want to visit a bunch of places and don’t want to worry about hotels, I highly recommend cruising. All you have to do is make sure you make it back to the boat by the allotted time at the end of the day. But you don’t have to worry about most of your meals and your hotel, so you can concentrate your time (and money) on daytime adventures. Anyways, back to Santorini. On this particular daytrip, we scheduled a tour of the island. It was perfect! Our first stop was the beautiful Santo winery. This is home to our most favorite wine of all time (we have drank…… or I mean sampled a lot of wine), Vin Santo. It’s a naturally sweet, white wine made from sun-dried grapes. The tour was fabulous and the wine was awesome! The next part of the tour, we weaved through the old churches and beautiful scenery. Fun Fact: those blue domed buildings? They’re churches, hundreds of churches. Definitely wear comfortable shoes. There are a lot of steps. But the adventure is totally worth it! There is something new and beautiful around every corner. 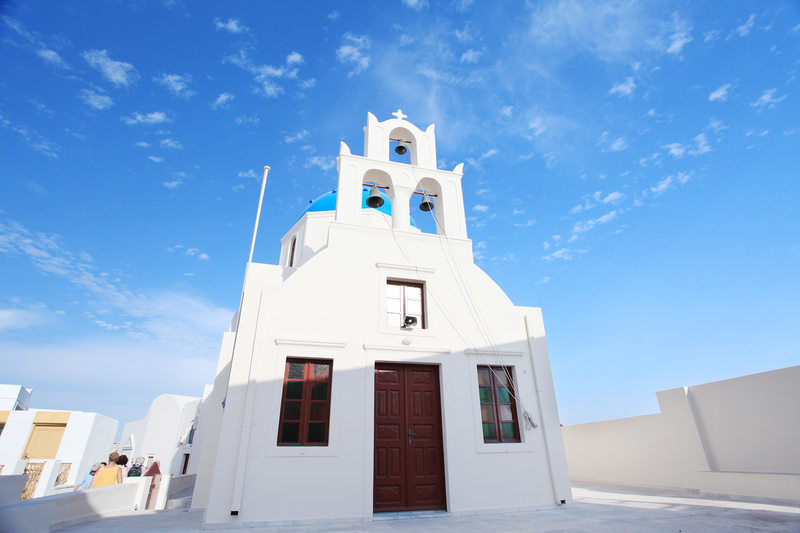 Everything in Santorini looks like a post card. It’s nearly impossible to take a bad photo there. I wouldn’t say this is a bad picture. But it’s a hilarious one! I don’t really know what was up with this lady or my sunglasses. But we still laugh about this picture to this day! 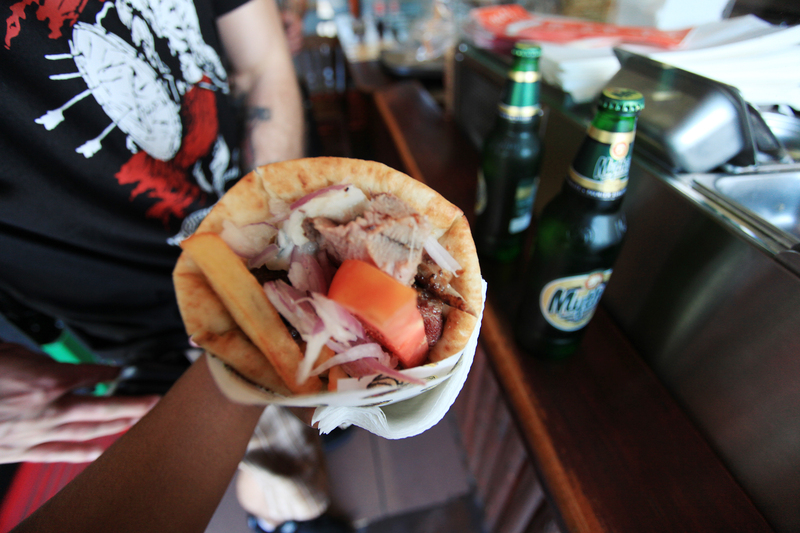 We ate probably a record amount of gyros. Really touristy, I know. But they’re so good that we don’t care. My husband ate on average 5 a day. I’m a gelato aficionado. I tried to get a “local” flavor everywhere we went in Europe. 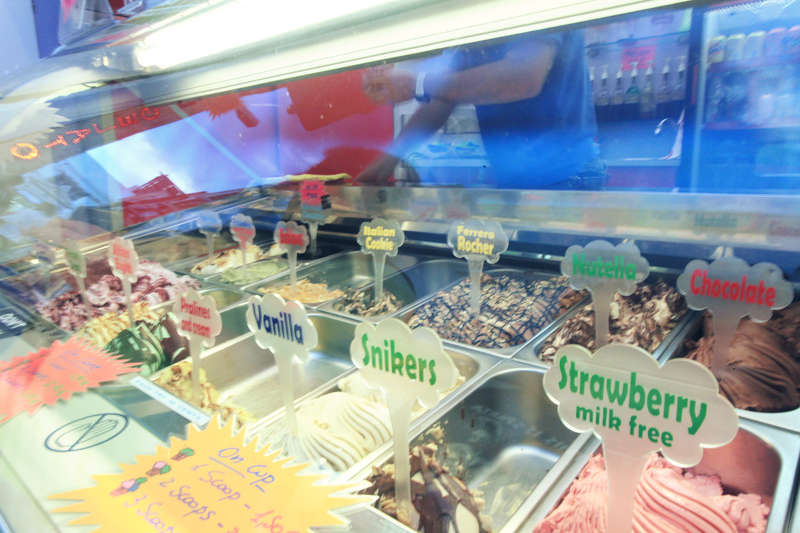 It was generally pretty hot wherever we went, so the gelatos were even more spectacular. 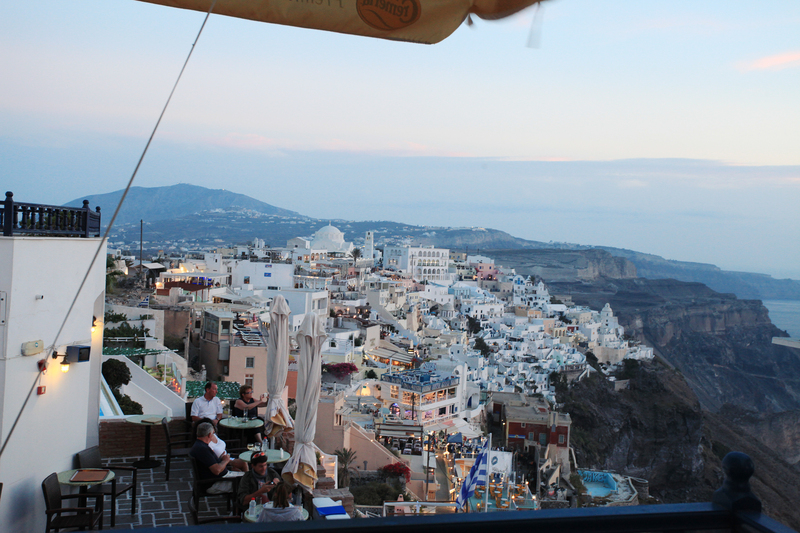 My favorite flavor in Santorini was the Kumquat gelato. It was delicious but the kumquat oddly had the pit still in it. I’m pretty sure I chipped a tooth. But I’d do it all over again, because it was that good! Looking over the caldera at sunset was surreal. Almost on cue, the lights from all of the tiny buildings around the edge lit up. It was magical! I want to spend a few days there in a hotel to get to know the island a bit more. We’ll probably travel there in the next 5 years or so. These photos are so beautiful. 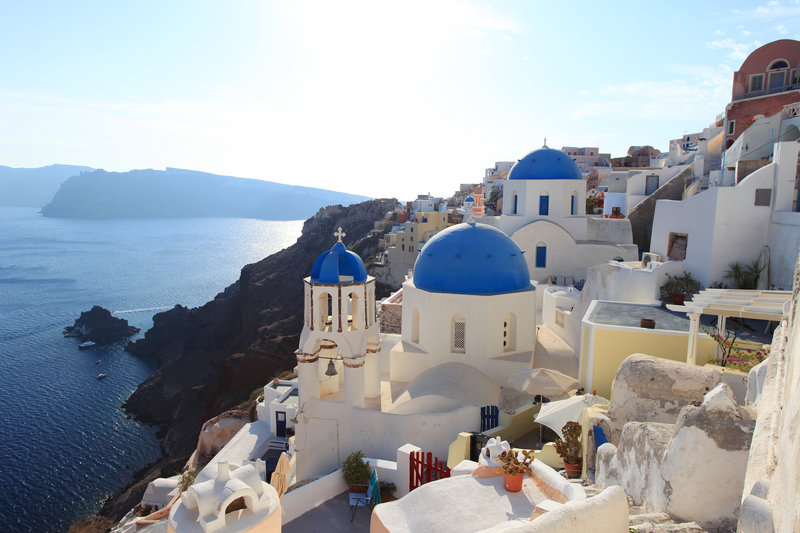 It is a dream of mine to go to Greece! 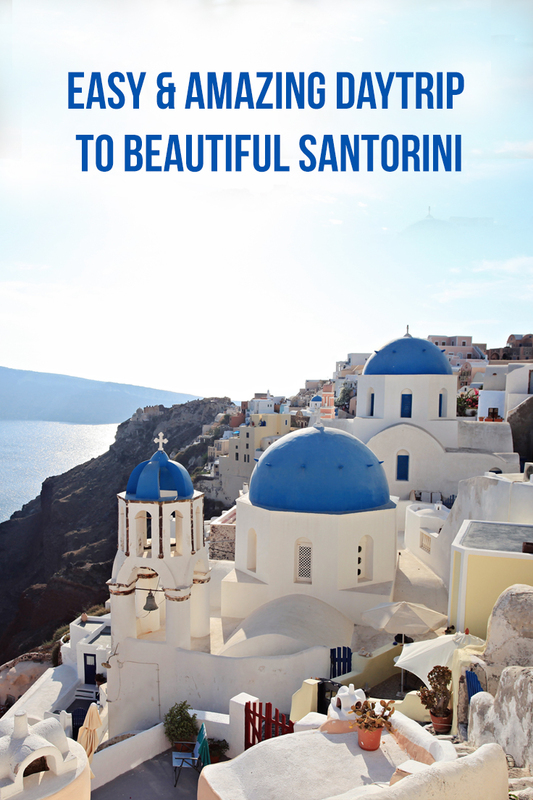 Greece is my ultimate bucket list destination. 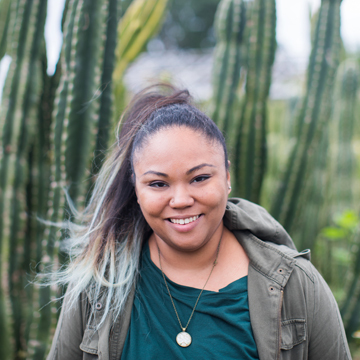 These photos are gorgeous and you look so happy! THIS IS SO BEAUTIFUL! I hope one day i can visit but until than I am happy i can look back at these photos! That sounds absolutely amazing! Gorgeous photos. Great idea about booking a cruise instead of trying to book separate hotels. Definitely a trio of a lifetime. Thank you for sharing this experience! Such beautiful photos! I would love to go and visit there sometime, you are so lucky! These are beauitful photos! Thanks for sharing. Beautiful pictures! How exciting to cross off something from your bucket list! Some day we will also go to Greece.